B and I attend a ball every January and this year I decided to find something on Amazon since I’ve been so satisfied with all of my other clothing purchases from there. I found this dress and, y’all, it is one of the most gorgeous dresses I’ve ever owned. 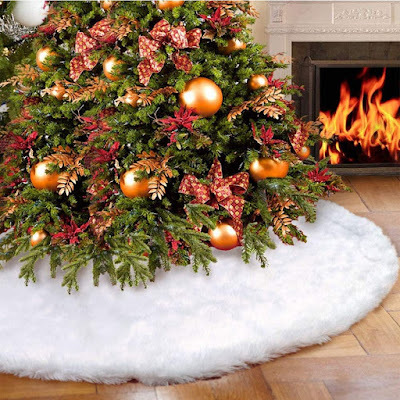 It is a total showstopper! This dress fits LIKE A GLOVE and I received more compliments on it than probably anything I’ve ever worn in the past. It made me feel glamorous and beautiful and the best two things about it? It was SO COMFY and it was CHEAP!! I still can’t believe what a steal it was! It is true to size (I bought a small) and it comes in 11 colors… I want one of each!! 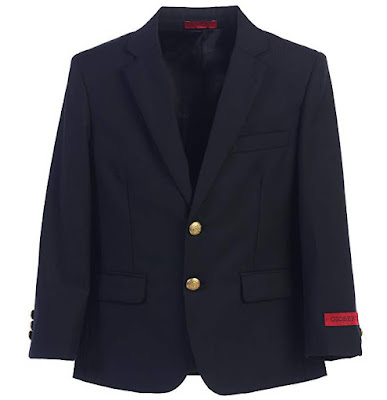 I’m seriously considering buying it in gold for next year’s ball. Do you think anyone would notice that it was the same dress?? Haha. Jacob is receiving his First Communion in a few weeks so I bought this childrens’ devotional as well as a set of nice rosary beads to give to him as a little gift. Since he’s receiving his First Communion we had to get him something extra special to wear, so we bought him his first sports coat. I got this one from Amazon for only $39.99 and I’m so impressed with the quality. It’s true to size. 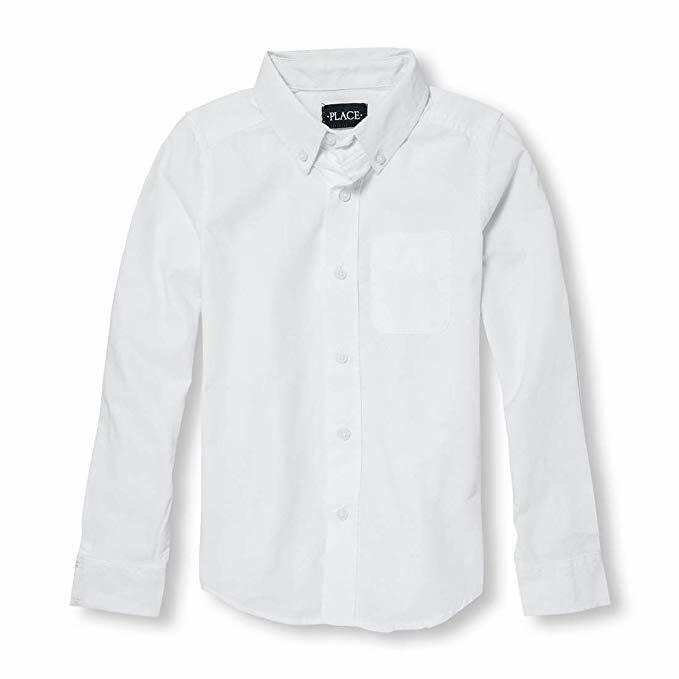 Since we bought the blazer, he also needed a white button-down shirt to go with it, and I found this one for only $9.98!! The quality is great and it’s true to size as well! Finally, he needed a big boy tie since he has outgrown his toddler tie. I found this one on Amazon for just $10.99. I like that it’s pre-tied so we don’t have to worry about tying it, but it’s also adjustable. It comes in lots of other colors, too. I searched all over the internet for a party dress for Olivia for the Daddy Daughter dance and I couldn’t find anything at our usual stores (Target, Old Navy, and Carter’s), so I took to Amazon. Haha. I found this dress and we just received it, but the jury’s still out on it. I ordered the 4/5 for her, but it ended up being a little too short (she’s really tall for her age), so I went back to order the 5/6 and it was out of stock. 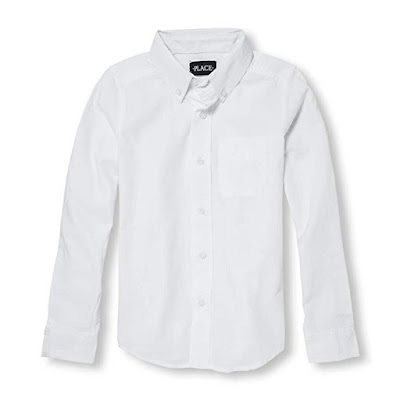 I ended up ordering the 6/7 instead and it should be here tomorrow, so we’ll know then whether or not it fits, but I have a feeling it’ll be too big. The only thing I was disappointed with about this dress is that the coloring is off in the picture on Amazon. In person the top sequin part is VERY gold and the tulle is more of a beige than an off white like it is here. The overall quality is pretty good, though. He’s one of my favorite authors of all-time and I own all of his books. This is his latest. I haven’t read it yet, but I’ll be tackling it soon! 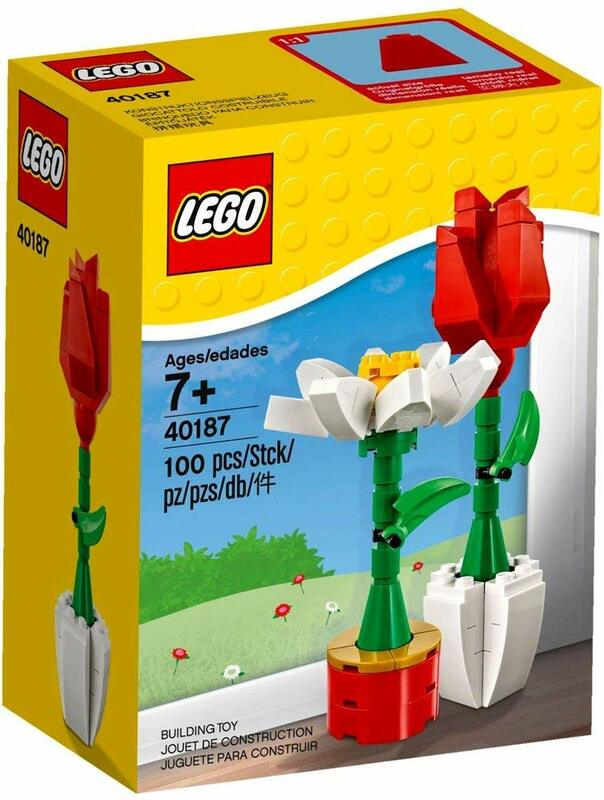 I purchased this set for Jacob for Valentine’s Day. We don’t really do much for VDay, but I like to have a card and a small gift for each of the kids by their breakfast or dinner plates that day. 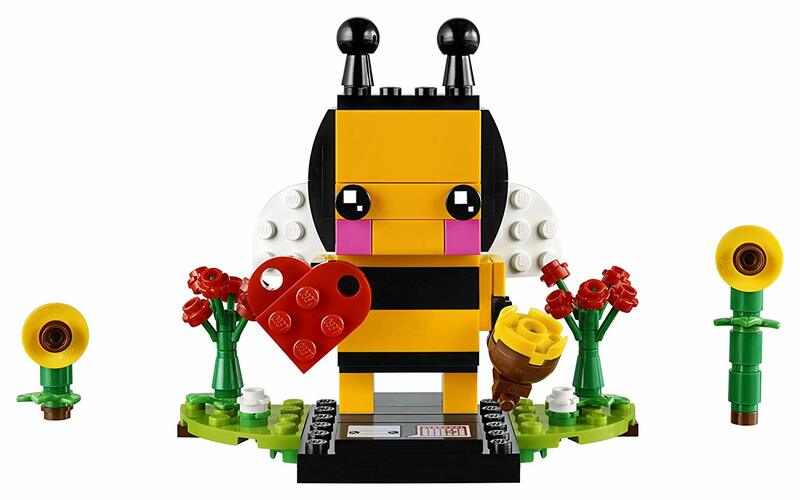 This set is for Olivia for Valentine’s Day. 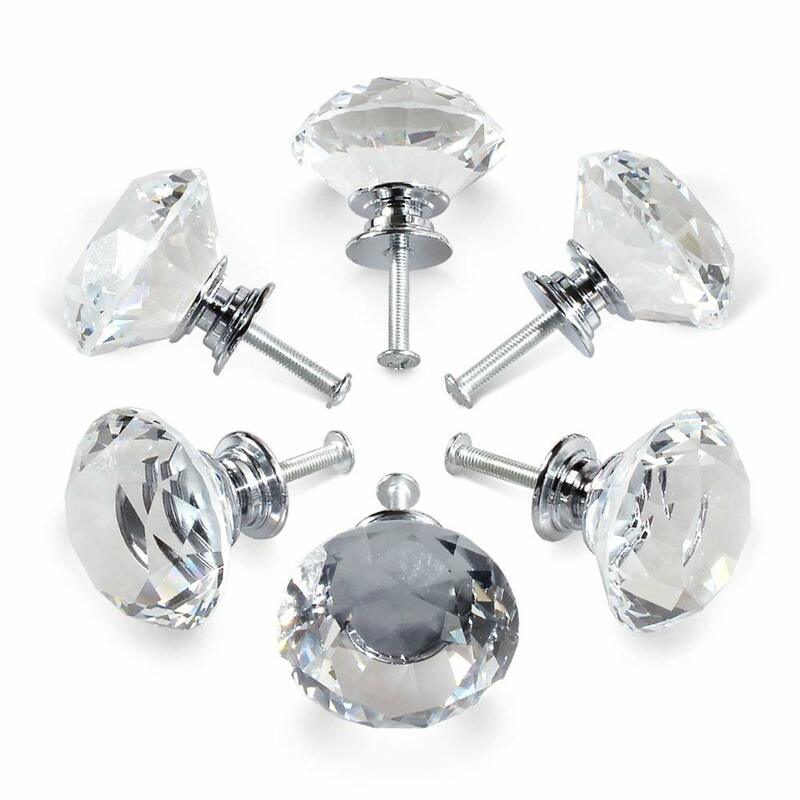 We are getting ready to redo Olivia’s bedroom and turn it into a big girl room, so I bought these crystal pulls for her dresser and nightstand. Y’all, these are absolutely GORGEOUS in person. Prior to purchasing them on Amazon I looked on a few other websites and also at Lowe’s and Hobby Lobby and they all ranged from $4.95 - $20 PER PULL, but I found these on Amazon for just $13.40 for six of them!!!! And they are every bit as nice as any of the other ones that I found at any other store. I also like this set because they come with three different lengths of screws… that was so important because Olivia’s furniture was thicker than the average, so we needed the longer screws. 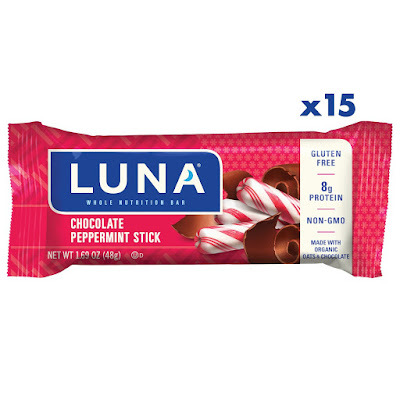 I highly recommend these! They completely transformed her furniture! I threw out our old tree skirt in our bedroom at the end of this Christmas season because it was yellowing pretty badly and I found this one to replace it. I love that white fur look for Christmas! 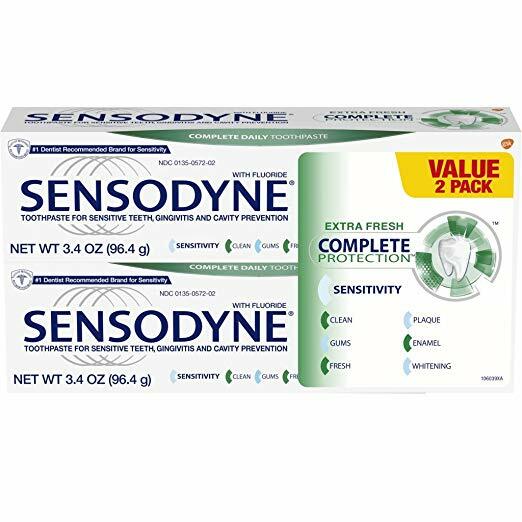 I am very particular about toothpaste, mostly because I have sensitive teeth. 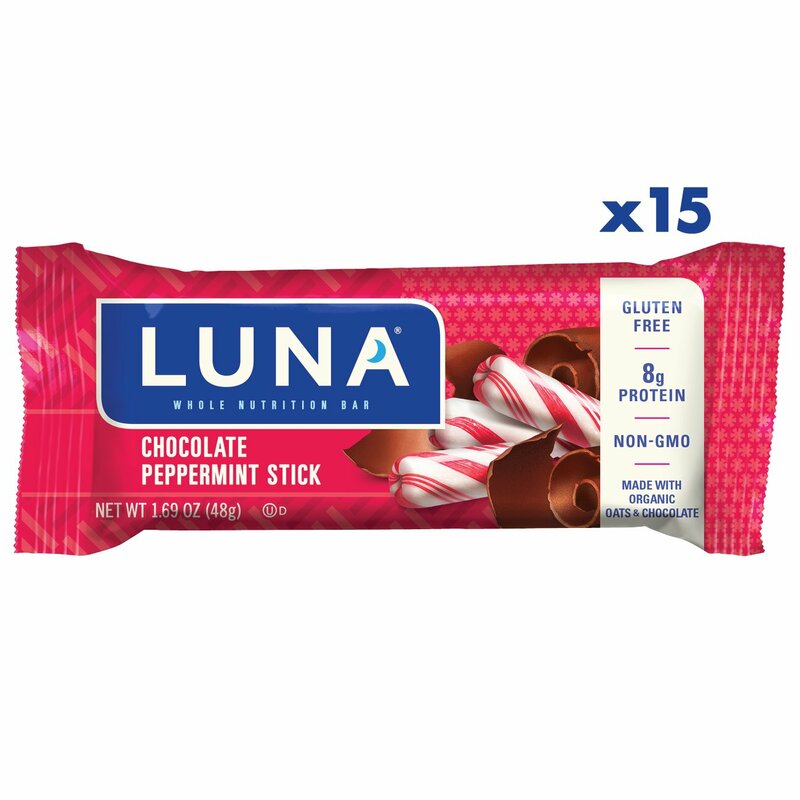 I finally found some that I like last year, but I haven’t been able to find it at the store since, so Amazon to the rescue... here it is! And I think it’s cheaper there anyway. 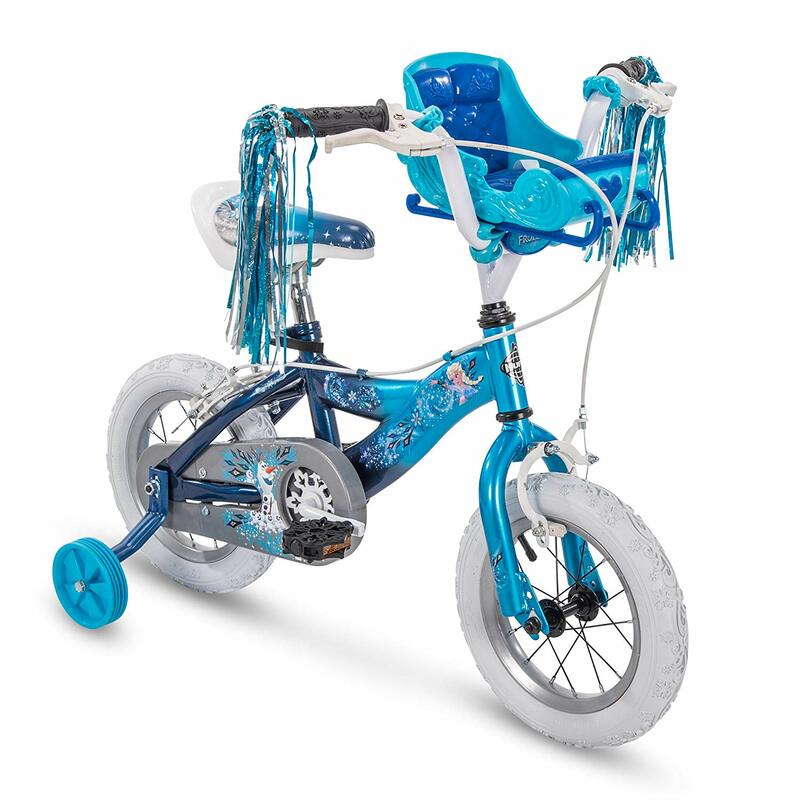 Our girl will be turning five this month and she has been begging for an Anna and Elsa bike, so I found the best one ever… look at the sleigh on the front for her Anna and Elsa dolls!!!! I cannot wait for her to see this thing! Olivia is obsessed with unicorns right now and she has asked for a unicorn birthday shirt as well as a unicorn birthday cake, so I thought I’d get her a few tiny unicorn gifts so she would have something to unwrap since her bicycle won’t be wrapped. This coloring book is so cute and it makes me want to color with her! I can’t wait for her to see it! We absolutely adore the Ravensburger puzzles in our household, and they just so happened to have a unicorn one so I bought that for her birthday as well. 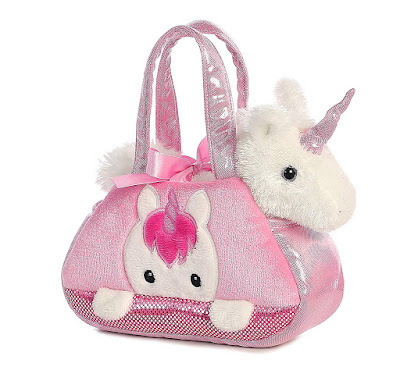 Okay, so I might have gone a little overboard with the unicorns, but I thought this unicorn in a purse was precious. She really loves purses and carrying her things around right now, so I thought this was darling. Plus it’s teeny so it won’t take up a lot of space and it didn’t cost a lot either. I searched two Walmarts and one Target for a unicorn birthday card and I found nothing... which was shocking considering how popular unicorns are right now. 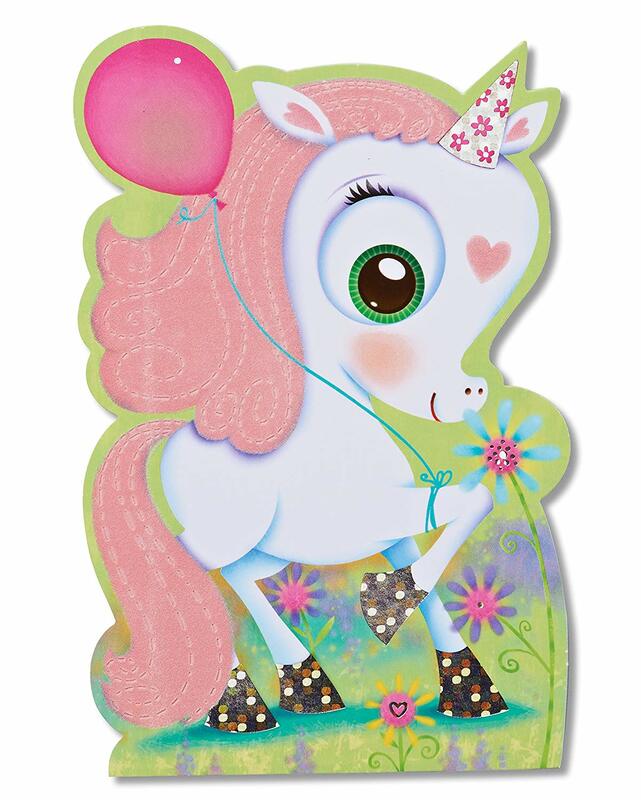 So naturally, the next step was to check Amazon, and sure enough, they had the perfect unicorn birthday card and it was the same price that I would have paid for it at a regular store! You may have read my posts about how I back up all of our old files, but in case you haven’t here’s the deal. I back up all of our old photos, videos, and documents on two different external hard drives as well as our Amazon Drive. One external hard drive is kept in my desk drawer for easy access and the other is kept in our fire-proof safe, just in case. 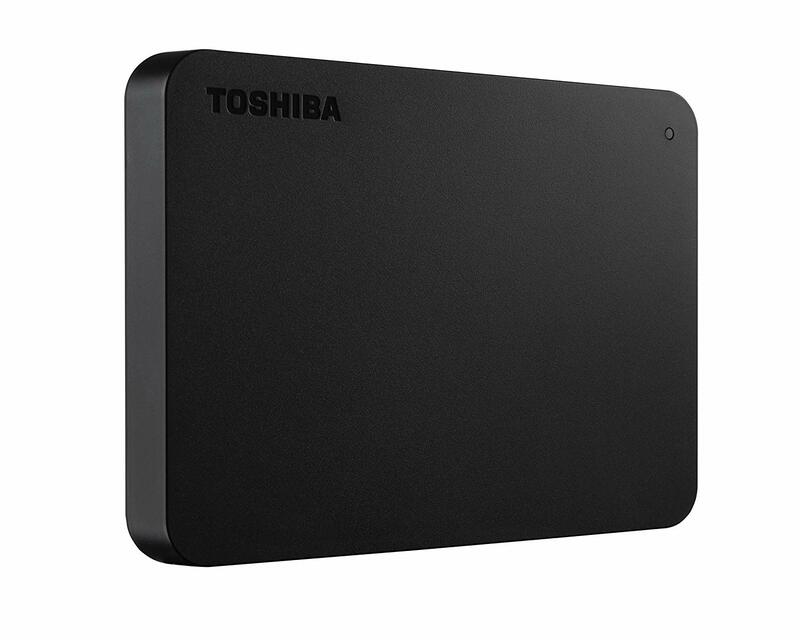 I recently ran out of room on one of ours because it didn’t have a lot of storage, so I just bought this new one on Amazon that has 1 TB of storage. Now I just have to get everything moved over to it. I’m sure that’ll be fun. Haha! And that’s everything that I purchased in the month of January! Love your gown for the ball. My sister just ordered her dress for my nieces wedding from Amazon! Olivia’s dress is so pretty! I hope it works out! Sometimes I forget you can buy staples on Amazon! My sister read the latest Nicholas Sparks book and she said it was so good! That ball gown was such a find!!! 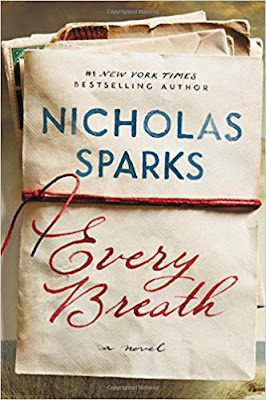 I got that Nicholas Sparks book for Christmas, but haven't gotten to it yet either. I am sure it will be good, as all of his are. :) And I would never have thought to look at Amazon for a card - definitely going to remember that for my nephew when I want a specific one! Hands down, best evening dress ever! 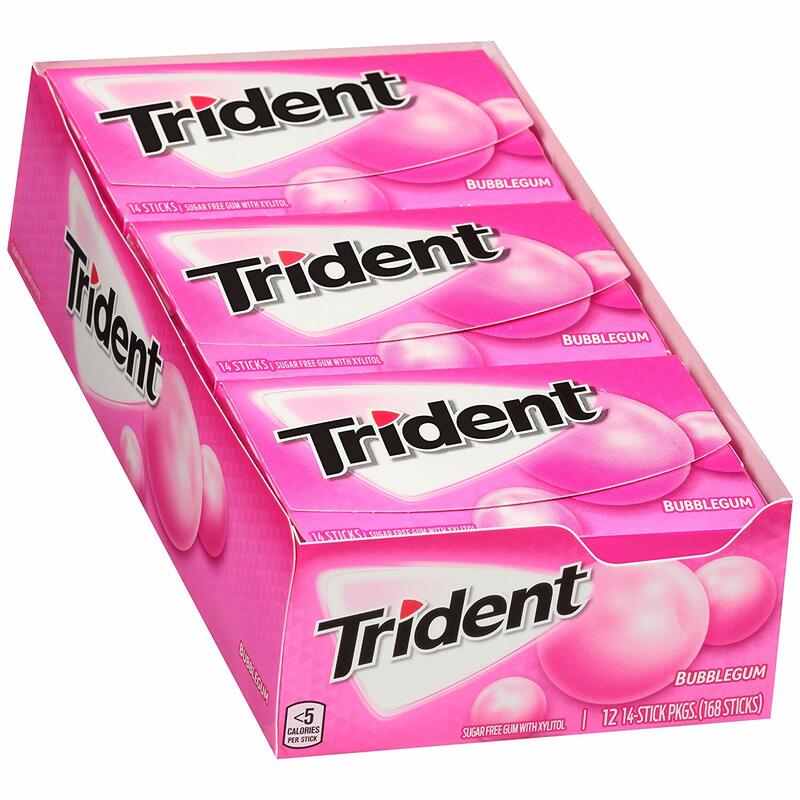 Gum....I love gum but have never gotten on Amazon, great idea! Fun finds as always my friend! Your gown is so pretty! You looked fantastic in it! I can't believe it was from Amazon. We tried once to get me access to Mr.'s amazon account, because he has the Prime, but didn't work out and we didn't really try all that hard, so I just use his account. I've never thought to get gum on Amazon, I just pick up a pack from the grocery store, which really is so expensive. haha! I'm in love with those drawer pulls! I've been wanting to paint the dresser I use in my closet the these would be a wonderful add to it! You sure got a lot of stuff! Olivia is going to love her birthday gifts! 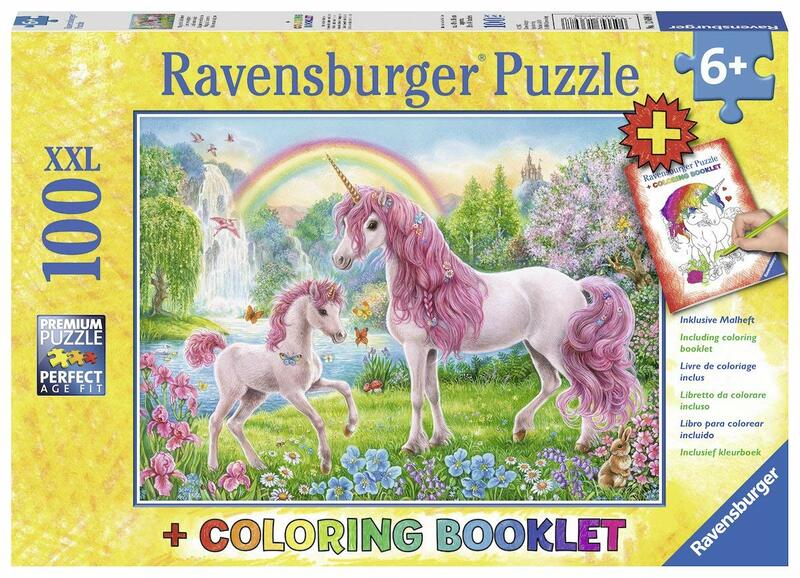 Ravensburger puzzles are my favorite too. 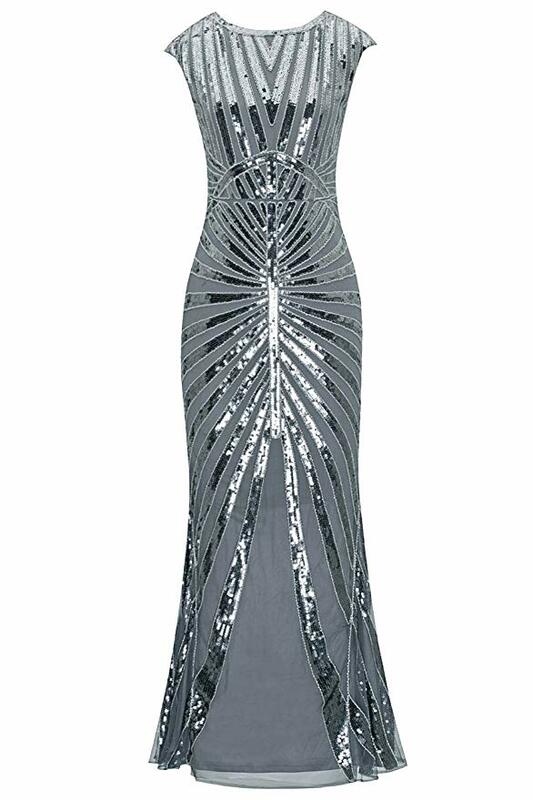 You looked just stunning in that gown...I think that may be the Amazon find of the year! 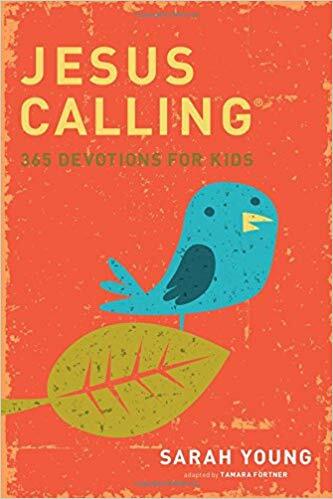 We used the Jesus Calling book when my kids were little, and love it. I think I got as much out of it as they did. Finding dressy outfits for kids is such a good way to use Amazon. I have bought many ties, dress shirts and even Jack's homecoming vest/tie set there. 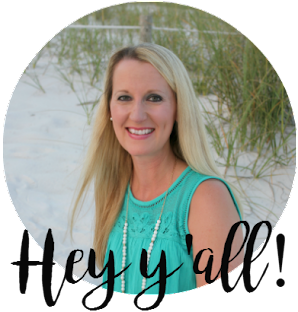 Thanks so much for linking up with Prime Purchases! The gown was fabulous!! And we have that same bike. You have some great purchases. That gown was beautiful! I am going to have to remember all the unicorn stuff. That dress is gorgeous! I say go for the gold! 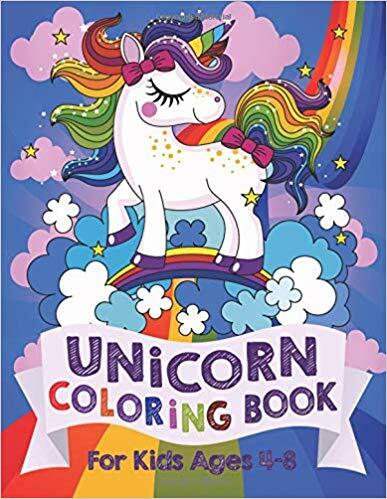 Lots of fun unicorn things! I will have to remember that when the buds are invited to a gals birthday! That dress is gorgeous. Even though you said it was cheap before I clicked the link I was like ya ok, its probably still over $100. I can't believe how cheap it actually was!! 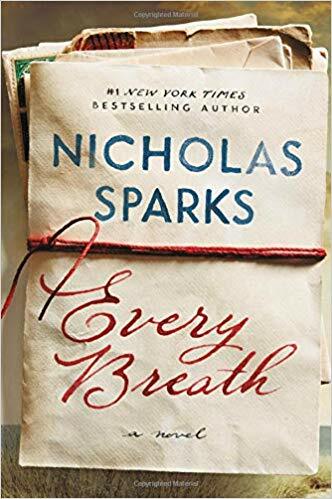 I loved "Every Breath." Hope you do too! Enjoy your week. So many fun finds! 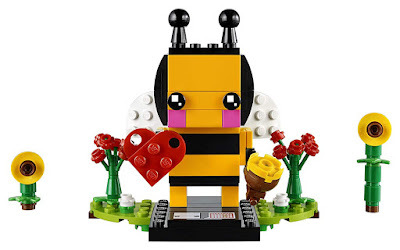 I love the gown and the Lego sets! Wow you bought a lot. I love the sparkly dress for you and for Olivia. I can't believe she will be 5 soon. That is the cutest bike! She's going to love it. Yes she is! I can't wait to give it to her! I STILL can't get over your dress! Love, love, love! 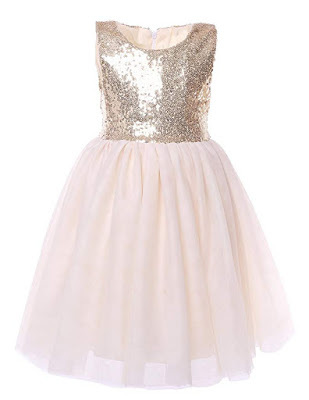 I also have to order a dress for Eliza for her upcoming Daddy/Daughter Dance and I'm loving the one you had ordered for Olivia! I want her to help pick one out, but I just know she'd pick out THE most gaudy dress EVER. LOL! I need to figure it out soon, the dance is this weekend! Yikes! Wow! What a haul! 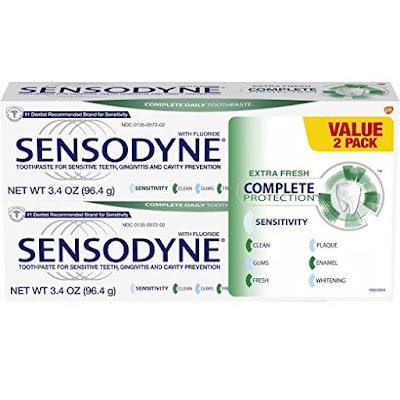 I have very sensitive teeth, too, and that toothpaste helps so much! 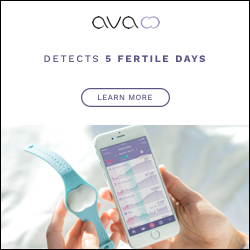 It's the only kind I use. Still love that ball gown! I do most of my shopping on Amazon too - it's amazing what you can find on there. 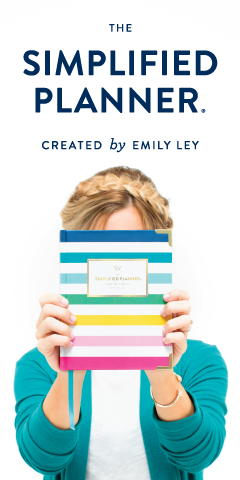 I love the devotional idea! My niece is celebrating her first communion in May and I’ve been trying to figure out a meaningful gift for her - this might be it! Yes, that would be great! And congratulations to her! That's so special. That dress is gorgeous! I have Amazon Prime but don't use it near as often as I should. I did a review on the Jesus Calling Devotional on my blog. I definitely recommend it. I love the Jesus Calling for adults! I've been reading mine for two years! I'm excited to start one with Jacob. I need to get an external hard drive. We have it all backed up to google drive but I need something else I think too!